Logos or characters can represent anything, any shapes or silhouettes can be a symbol of any living things and also places or things. When children are at their preparatory grades, animal figures are used to identify their names, you can have this by just searching the net and look at free logo template that can show you many figurative animals that can be used in many purposes like for coloring or design. You can also see Animal Coloring Pages. This beautiful template has a set of 10 animal geometric vector designs done in triangle low polygon style that are ideal for creating symbols, logo or icons. This premium editable template has transparent PNG, JPG image, Vector EPS AI Illustrator graphic files. This lovely template comes with 4 EPS 10 vector files and 4 high resolution JPEG files of 5000 X 4545 PX dimension. This premium template has 300 DPI resolution, Vector EPS, JPG files whose size and color can be easily customized. This amazing geometric animal logo template gives a bold and modern twist to the beautiful geometric butterfly design. This free template is designed creatively using the wings of the butterfly in different patterns that is ideal to represent zoo that houses different species of animals. 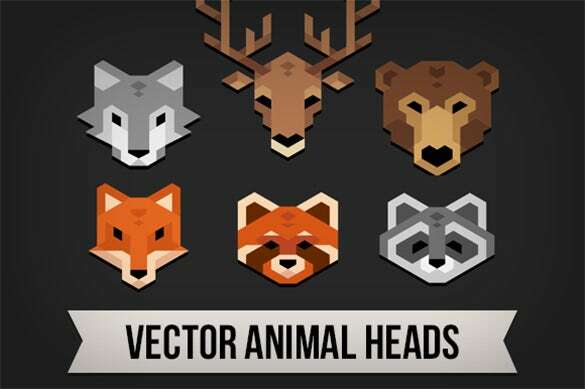 This beautiful geometric animal logo template comes with a low poly illustration set of 11 animal heads commonly found in zoo. This premium template includes 11 types of EPS 10 files and 11 JPEG files with 800 Px X 800 Px dimension. This lovely geometric animal logo template has 10 wild, pet, sea animal logos that is ideally suitable to use as mascots, icons and symbols. This premium template requires minimum Adobe CS version and has Transparent PNG, JPG image, Vector EPS and AI illustrator graphic files. This amazing template comprises of a lovely collection 37 hand drawn geometric animals that is ideal to be used in posters, web design, t-shirts and business cards. This premium template has high resolution 37 PNG animal and rustic landscape graphic files in black color. This fabulous geometric animal logo template has 6 stylish geometric animal heads design that are ideal for DIY projects and logo designs. 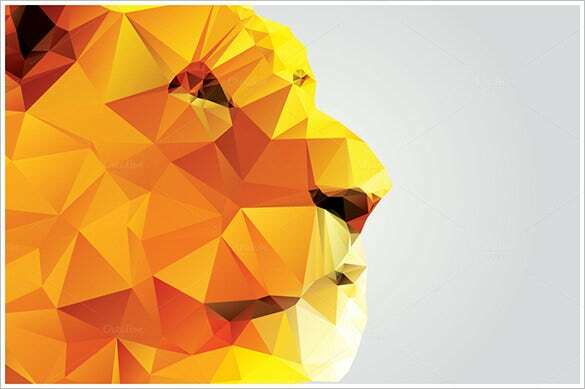 This premium template has vector EPS file and layered PSD file and these vector animal heads looks great on prints. This lovely geometric animal logo template has a set of cute flying origami parrots designed on a white background that is ideal for decorative DIY projects. This premium template requires minimum Adobe CS version and has editable JPG image and vector EPS 8 graphic files. This best geometric animal logo template has lovely geometric animal logs designs that are ideal for printing on t-shirts, icons and other DIY projects. The nice template has vector EPS files and is available for free download and print. This simple template has geometrical Fox logo, designed in contrasting colors of orange and blue and is an ideal logo design for commercial businesses, software products and blogs. This premium template includes EPS 8 files and JPG files and comes with CMYK color system and a free font. This beautiful geometrical animal logo template has geometric elephant logo design that is ideal for creating icons, logos and other DIY projects. This free template has the unique design of elephant head in low poly pattern with attractive color combination. This fantastic PolyBear logo template comes with fully editable logo, CMYK & RGB color system and resizable resolution. This premium 100% vector design template requires minimum Adobe CS version and comes with transparent PNG, vector EPS and AI Illustrator graphic files. This lovely Geometric animal logo template has a set of 10 geometric animal head vector designs that are ideal for icon, illustrations, and logos. This premium template comes with vector EPS graphic files that offer better background images for DIY projects. This cool geometric animal logo template has a lovely geometric zebra design that is very useful for designing digital scrapbooks and logos. This free template has a triangle low polygonal design that gives it an outstanding appearance. You can have the framework of the animal that you want using this template from diverse types of animals with different sizes and kinds. Just choose your desired animal for your usage and convenience and leave everything to the Dog logo template. The website for animal logos can be downloaded for free and in just a span of short time you can have your own animal logo.